Even a masterpiece is only in the eye of the beholder. Wait for it. I thought that I was a little off, until I met an algebra teacher. The only two algebra teachers I had were Brashiers, (who liked to call us lemmings) and Crossman that insisted on reading Winnie the Pooh on Fridays. Mallott was so pretty with his long hair, but half-witted, because he said my work was too good: I must be cheating. Mrs. Khoury/Grimes was the only teacher at Hughes that cared enough to try find out what was wrong with me physically, but I was 17 when they found the cancer. Giancanelli took me out on the field once so we could be alone. "What's wrong? Why can't you play?" I couldn't answer. I was always ready to pass out ...when I stood up I would see stars. Tom De La France punched me in my cancer once (abdomen)and I passed out. Sorry if I was bothering you. Let's see ...no girls talked to me unless they had to....until I was 17 and the cancer was removed.Then people liked me and I had the prettiest girl in class as my girlfriend and I was suddenly cool. So, I don't know a lot of you people, since I had to take accelerated classes separate from most of you in my senior year. Mrs. Norbury was also a very good person that touched me (the legal way). Steve Seltzer, thank you for trying to make a man out of me by roughing me up, but it was too early: I was still weak with cancer. I can take you now, if you are still alive. Robert Bell updated his profile. View. Robert Bell changed his profile picture. 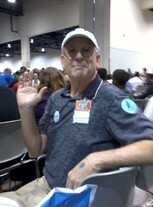 Robert Bell added a photo to his profile gallery. Robert Bell has a birthday today.